Everyone has been asking me all day how I’m feeling and I can only answer ‘fine’. 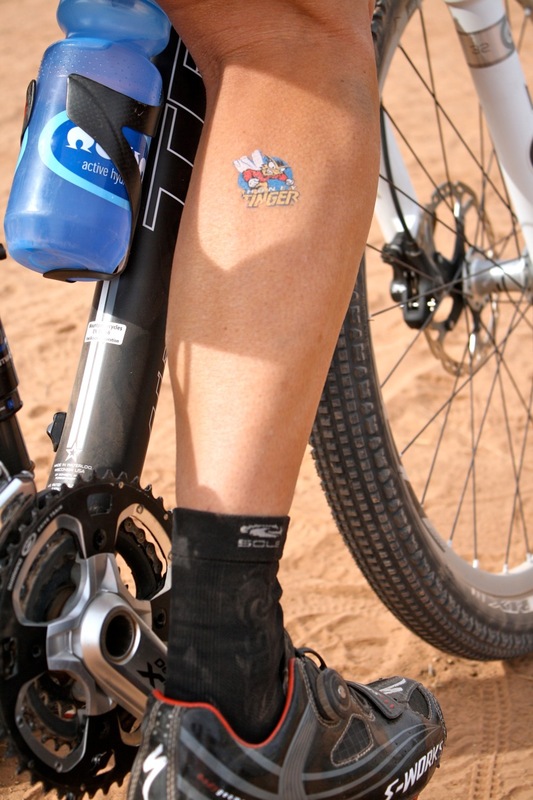 The 24 Hours of Moab race has come and gone and I feel surprisingly great. Max Taam and I snagged the national championship in the mixed duo division and also placed third among the men’s duo teams by finishing 19 laps. Prior to the race I was a little nervous about having the endurance to ride a total of about 12 hours and to be able to keep my laps consistent. It was a nice surprise to manage both and even pull off the fastest women’s lap of the race. I could not have have done this six months after having Axel without Lindsay Hyman of Carmichael Training Systems. Not only has Lindsay been coaching me and getting me back towards race shape but she also gave me an amazing nutrition and hydration plan for the weekend. I was able to get through my nine laps (135 miles) without ever being nauseous, bonking, or even feeling the need to drink caffeine. I drank a full bottle of water with a nuun tablet each lap to keep my electrolytes high and then another full bottle or two during of water between laps. 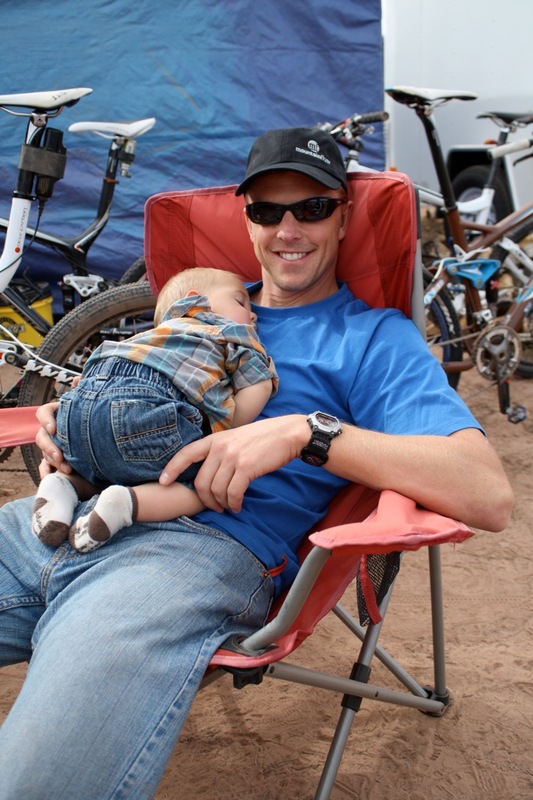 My top priority of the race was to make sure I had plenty of energy to continue to nurse Axel throughout the race and this was no problem. Thankfully and miraculously Max and I did not have any mechanical, lighting issues or major crashes. 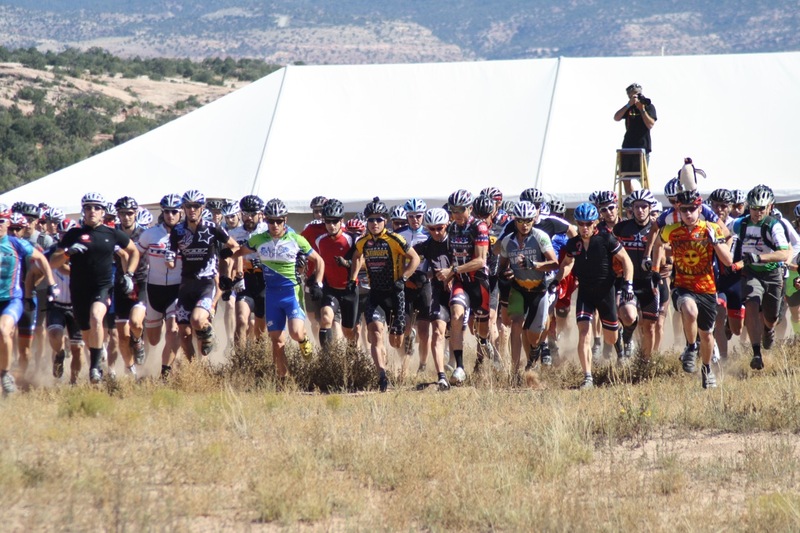 We both raced on our Trek Top Fuels with Bontrager XR1 2.4 tires which were perfect for the sandy, rocky and hard packed course. I was also super impressed with my other gear holding up to all the sand and dust including my SOLE Lightweight Sport Socks, SOLE footbeds, Specialized S-Works shoes with Boa Technology, and my borrowed Ay Up lights (thanks Kerry White!). 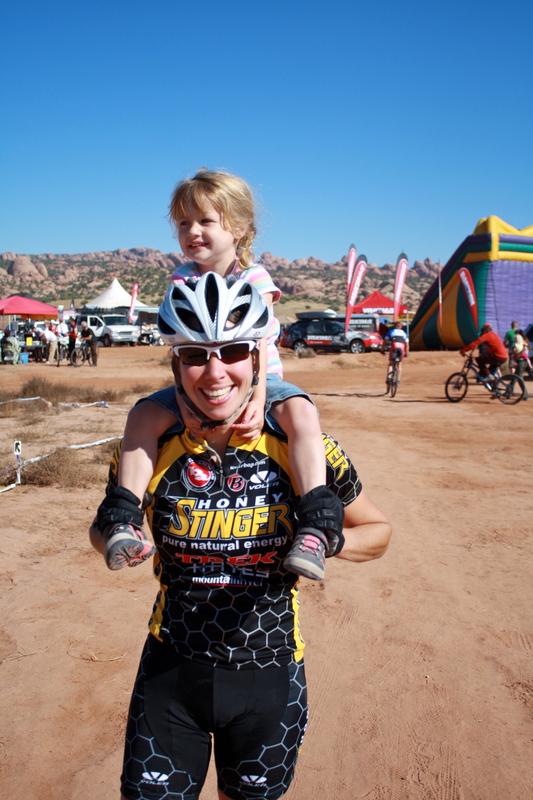 And arriving just in time, the new Honey Stinger Waffles were a huge hit with everyone – thanks Lance! 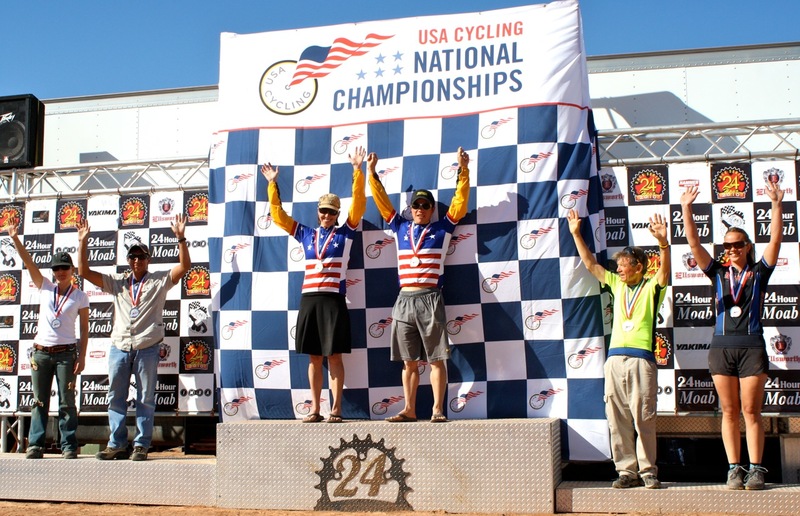 The Honey Stinger/Trek teams raced well all weekend also claiming a national title in the Men’s 4 Person division and second place in the Men’s Duo and Women’s Solo divisions. Nice work all! Juniper, Axel & I just before the start of the race. Max got to enjoy the Le Mans running start. Brian Edmiston. 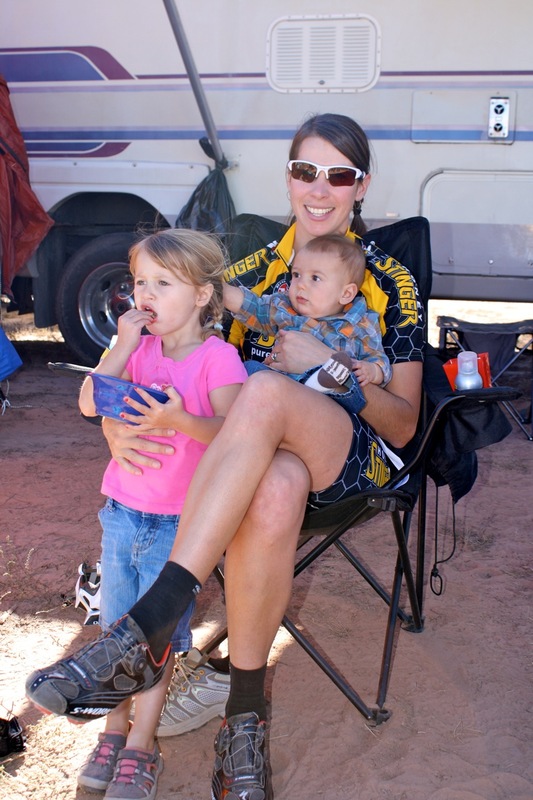 My awesome support crew who was happy to help with everything...even the babysitting. Thanks so much B-town! Happy mom and daughter after the race. 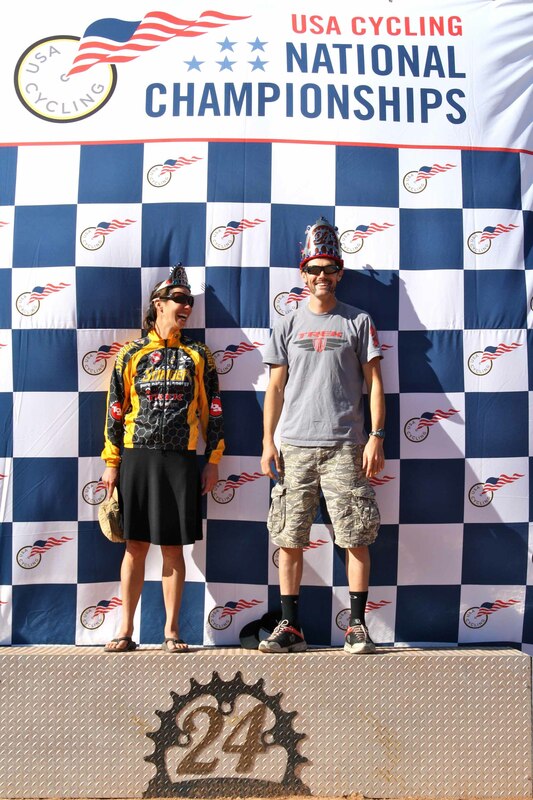 Ross Schnell and I were crowned the "King and Queen of Moab" for posting the fastest race laps. 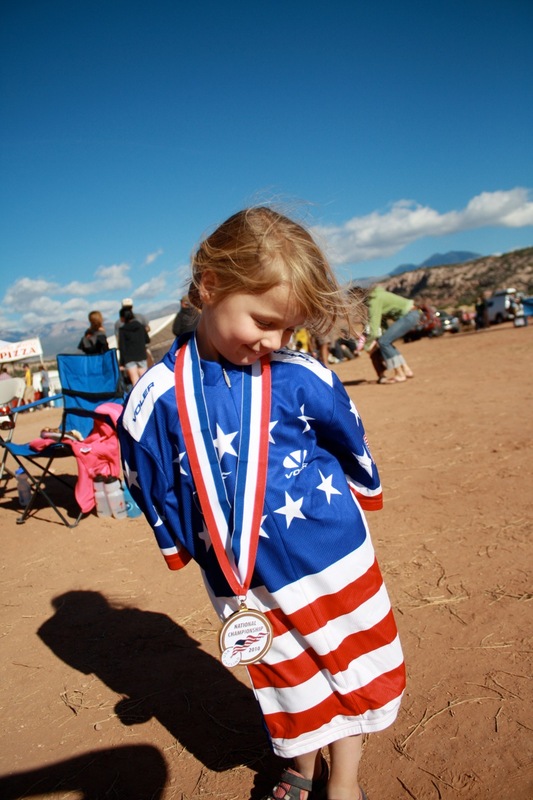 Juniper is thoroughly enjoying the Stars & Stripes jersey! 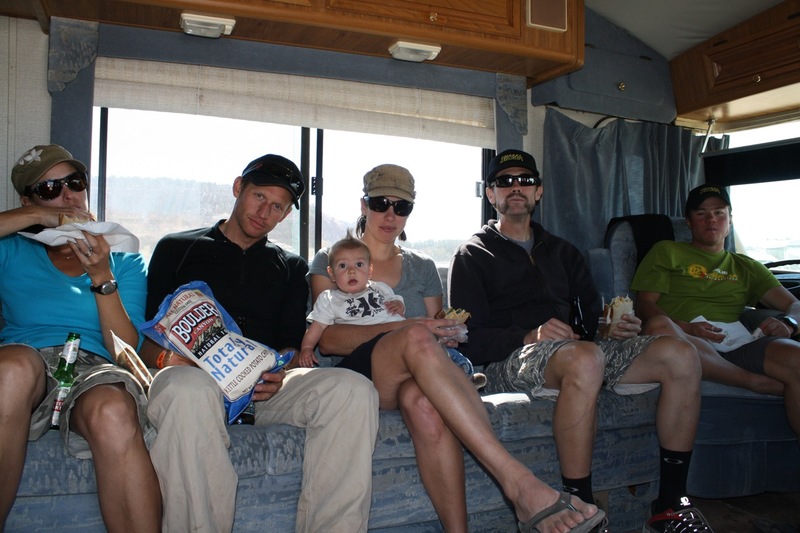 Thanks to Ross Schnell for the RV to relax in and Cynthia Reynolds for amazing food and support! Me and Max - happy to be finished. And here’s some cool CONTOUR helmet cam footage of Max at the LeMans running start. CONGRATS! I say it every time I read your results so why not again – you are an inspiration to us all.